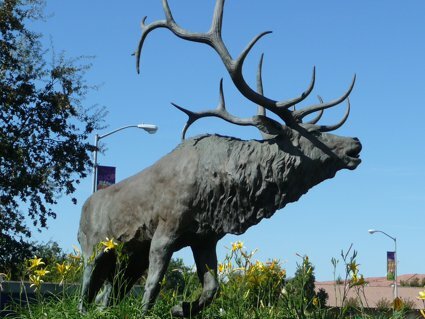 Elk Grove has been a wellspring of great tradition and optimism for the future since the days when its first building was a humble stagecoach stop for travelers on the Monterey Trail. There are families that have planted their roots deep in the community as far back as 150 years ago and there are immigrants from around the world. Our cityscape is a blend of century-old oaks and ranches to the east and large community parks and cozy suburban neighborhoods to the west. It is the center of Northern California’s largest school district, which serves over 62,000 students. And more than 161,000 residents call Elk Grove home in Sacramento County’s second largest city, which incorporated in 2000. Despite our size, our small town atmosphere is still vibrant and our neighborhoods are as close-knit as ever. nails are once again being hammered in our youngest neighborhoods. More businesses have also been opening in Elk Grove in the past few years as the city continues to grow and prosper along with the Golden State’s recovering economy. Our community has a century-old tradition of charity and collaboration. Every year, citizens, business owners, firefighters, and police officers donate or collect Christmas gifts for the least fortunate children and families in our city. We also donate turkeys to the needy at the Elk Grove Food Bank, which tirelessly works to make sure that families never go hungry in our city. Not a week goes by when there is not a fundraiser for a charity, whether it be a celebrated program that teaches horse riding lessons to mentally and physically disabled students or a walk at Elk Grove Regional Park to benefit the family of a local soldier who died serving in Iraq. Miwok Indians have lived in the Elk Grove region for thousands of years. Soon after California became a state, a stage and hotel stop was built along the Monterey Trail and Elk Grove became a hub for agriculture and commerce when miners arrived for the Gold Rush. Our community gradually grew as the decades passed and many families firmly planted their roots in Elk Grove. Today, most of our schools and parks are named after prominent Elk Grove citizens and families, such as the Derrs, the Tsukamotos, the Zehnders, and the Bartholomews. The sounds of hammers and saws abounded west of highway 99 during the 1980s and ‘90s when thousands of houses were built in the Laguna and East Franklin communities. Despite the boom, leaders and citizens have worked to preserve the rural character of our neighborhoods in Sheldon and much of eastern Elk Grove where there are still ranches and farms. The Elk Grove community’s heart is a place that we call Old Town. Th is stretch of Elk Grove Boulevard between Elk Grove-Florin and Waterman roads is the scene of many of our festivals and parades. Old Town was the center of our economy for several decades and many historical buildings stand proudly there. It is the home of California’s first free county library branch, which opened in 1908. Generations of Elk Grove residents have worked hard to preserve Old Town’s history and its vitality as a shopping destination.